The YJFL Rules and By-Laws provide general guidelines on the age group a player should be allocated to. It is stated in the YJFL rules that players should play in their respective age groups for Premiership points and that age groups shall commence on the first of January of the current year. While the YJFL rules permit for exceptions upon application to the League, the FJFC Age Group Policy provides a clear statement on the implementation of a consistent approach to the allocation of players to an age group for all FJFC teams. It is important that a club the size of the FJFC provide members with a clear and consistent set of guidelines with regards to the placement of players in an age group. The FJFC Age Group Policy sets out guidelines for the allocation of players into a particular age group for a given season. The policy provides players, parents and club officials with a clear and consistent set of rules and processes that the FJFC applies across all age groups. 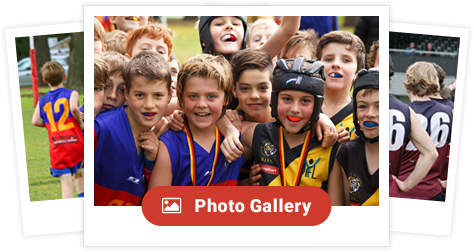 The Fitzroy Junior Football Club provides opportunities to play football between the ages of 9 (players need to reach this age in their first year of playing) and 17 (players must reach this age in their last year of playing). The age group for a player is determined by their age on the first of January in the current year (for example, a player who is 8 on the first of January will play in the Under 9 team, a player who is 12 on the first of January will play in the Under 13 team). Under 16 and Under 17 boys will be allocated to the YJFL Colts age group and Under 16, Under 17 and Under 18 girls will be allocated to the YJFL Youth age group. In circumstances where the Club does not field a team in a particular age group, players may be allocated to the next up age group. It is consistent with the preferred position of the Yarra Junior Football League. The Club recognises that at times there may be exceptional circumstances where a player may wish to play in another age group. Peer and school level groupings are not deemed to be exceptional circumstances. In general, the FJFC does not allow players to play up an age group unless it is for the specific purpose of addressing a player shortage that will prohibit the entry of a viable team in the competition. A request to play down an age group is generally only considered where the player has a physical or intellectual disability or has physical size and/or development issues, and a medical physician certifies the player is unable to play in the correct age group. Parents may make an application in writing to the Committee for consideration of a request for a player to be exempted from this policy. The Committee will assess such requests on their merit and notify the parent of its decision in writing. Any approval for exemption from the policy shall be at the discretion of the Committee and shall be for one season only. The allocation of players to Girls teams will allow for increased flexibility in application of the age group policy, but still requires the application and approval process outlined above. No exemptions to the policy will be granted for players that are younger than our entry age of 8 years old on the first of January as players must turn 9 years old in their first year of playing. This policy was reviewed and updated in November 2015. The policy is scheduled for review from November 2017. See the Player Placement Policy for information on how players should be placed in teams within an age group.